I just had a schedule change impacting three flights on one itinerary. I wanted to make sure that the equipment and seats carried over to the new flights and I noticed that all the seats are grayed out other than my own. 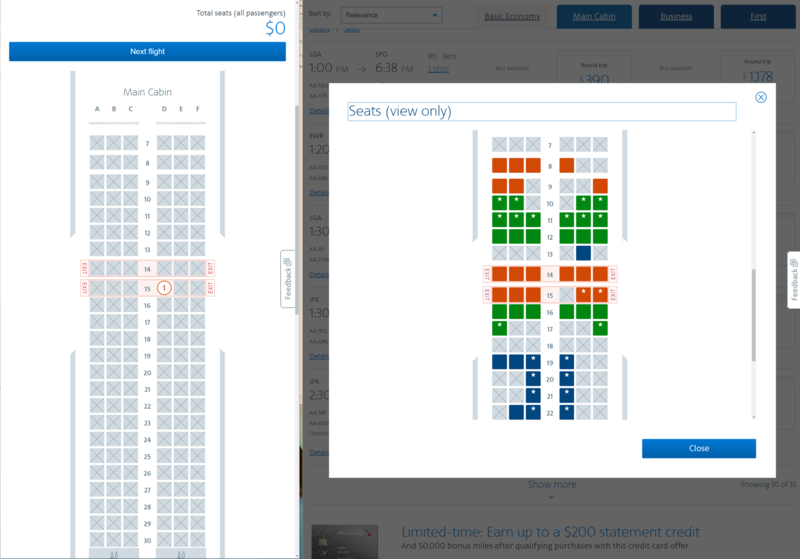 I also checked aa.com by searching for a dummy booking and the seat maps show correctly. This isn't my first time noticing this, but I thought I'd post to see if anyone has anymore insight into this. Probably an IT glitch. I'd report it to AA if you can. I have noticed before that the seats are grayed out until you "accept" the change. Then the seat map returns to normal. I had this yesterday for a small time change, no flight number change. I called up, and spoke to a very helpful and friendly agent in Trinidad. She said there was no issue with the seat map on her computer although I could only see the greyed out version with my seat showing online and on the app. After the call everything working fine.